The organizer of ‘Liberate Stamford Hill’, a march against the “Jewification” of the London borough, has been arrested following a police investigation into abusive tweets sent to a Jewish Member of Parliament. 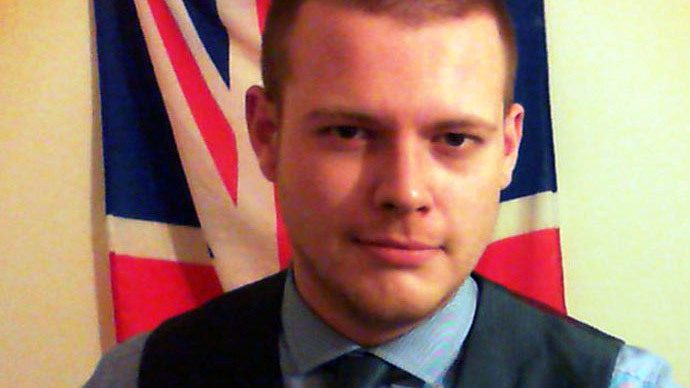 Joshua Bonehill-Paine, a self-styled “Nationalist, Fascist and supporter of White Rights,” was arrested after he allegedly sent Liverpool Wavertree MP Luciana Berger anti-Semitic messages online. In December, Berger revealed she had been sent 2,500 anti-Semitic tweets in just three days. A blog post about his arrest revealed that Bonehill-Paine had been banned from traveling within the M25, the motorway encircling London, as part of his bail conditions, which could mean he is unable to attend the rally scheduled for March 22. “The police officers told me that I was to be arrested for 1 count of racial hate, 1 count of political harassment and one count of malicious communications, at this point, I could only assume that it was to do with liberate stamford hill [sic],” he wrote. Bonehill-Paine has previously been arrested for publishing a hoax article in his local newsletter claiming Tesco supermarket food was contaminated with Ebola. In 2014 he appeared in court accused of posting information online falsely claiming individuals were pedophiles, homosexuals and held religious faiths. A Facebook post promoting the march condemns the Jewish patrol group, a neighborhood watch, for “enforcing their law” on the area. “It’s utter disbelief that the Jews of Stamford Hill have set up their own police force which enforces their own talmudic law on the streets of a White British city [sic],” the post reads. “That’s why on the 22nd of March, 2015 in Hackney at Clapton Common, I will be demonstrating against the Jewification of Stamford hill in an effort to ‘Liberate’ the area and draw attention to the Jewish problem [sic],” he adds. An ex-Conservative Party member who previously tried to organize an anti-Islamist march in London after the murder of British soldier Lee Rigby, Bonehill-Paine publishes a blog called the Daily Bale (Britons Against Left-Wing Extremism). North London Anti-Fascists said they would work with members of the community in Stamford Hill to build as much anti-fascist support as possible and resist the march. Speaking about Bonehill-Paine’s arrest, a Metropolitan Police spokesman said, “Officers investigating allegations of malicious communications sent to a Member of Parliament via a social-media network have arrested a man.